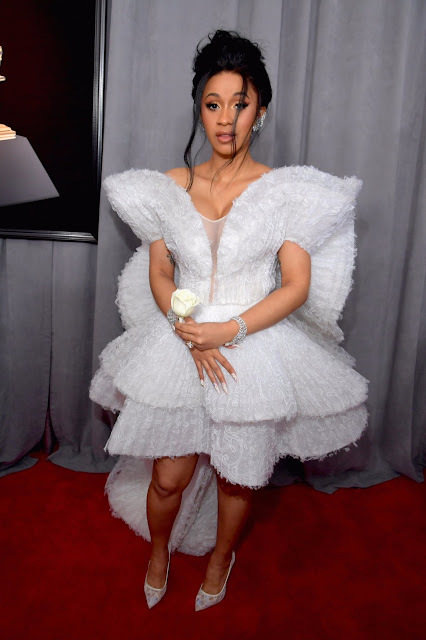 If you were paying attention to the Grammy Awards’ red carpet this year, you’d notice that several of our favorite artists had a white rose as part of their ensemble. This token piece was chosen to show solidarity with the Time’s Up and #MeToo movement that has swept Hollywood. The Time’s Up and #MeToo campaign was created in the beginning of 2018, in an attempt to bring attention to the sexual misconduct and harassment that occurs in the workplace and encourage survivors of such experiences to speak up. 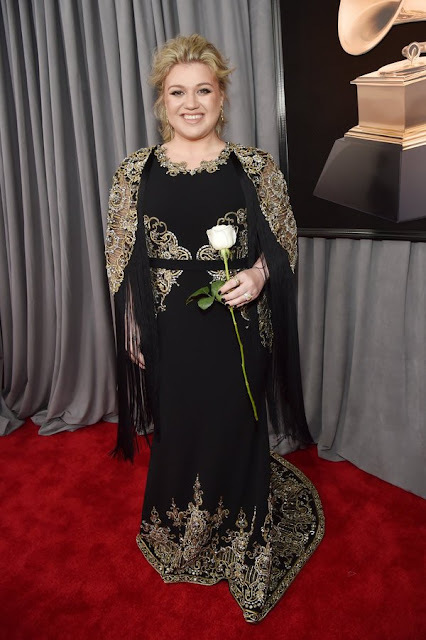 Just a couple of weeks ago at the Golden Globes, an overwhelming number of actors and actresses wore black gowns and tuxes to show their support for the movement. While the Grammys’ statement was definitely noted, it was a bit more subtle than the Globes blackout. 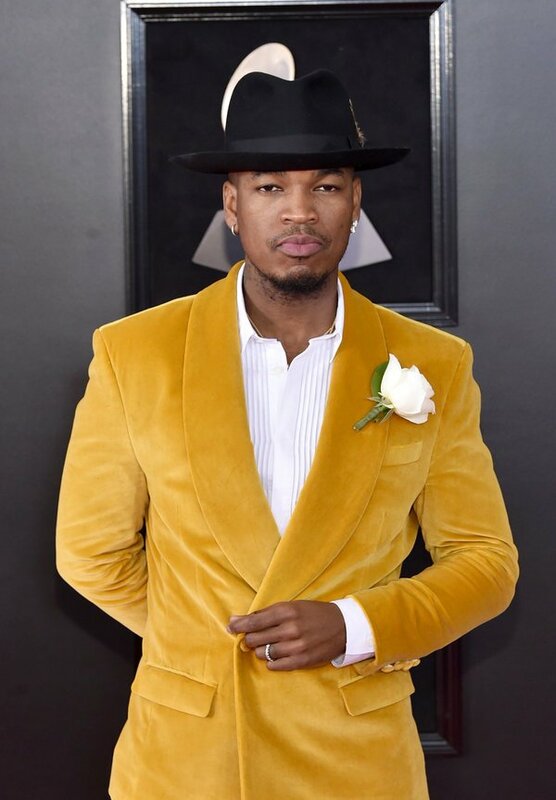 Lady Gaga, Kelly Clarkson, Cardi B, NeYo, Miley Cyrus, James Corden, SZA, Rita Ora and Janelle Monáe were just a few of the celebrities who showed their support. During the show, musician and actress Janelle Monáe gave a powerful speech about the Time’s Up movement, and encouraged the audience to help be the change. 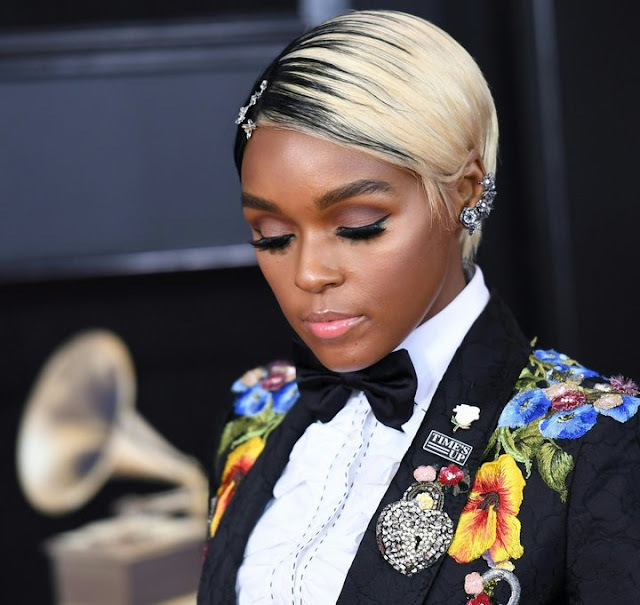 Monáe went on to introduce Ke$ha and a group of singers which included Cyndi Lauper,Julia Michaels, Andra Day and Camila Cabello who paid tribute to the #MeToo and TimesUp movement.